Every parent wants to capture that loving moment when the newborn baby smiling and playing. If you are one of them, then contact reliable and affordable photography company My Baby 247 for the Infants Photography in Delhi, NCR and Gurgaon. Infant’s word is basically used for the children that have 1 month to 12 months old. In this stage attract you and family member with their act and smile. 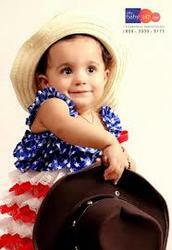 So you just capture your moment to do Infants Photography in Delhi NCR and Gurgaon.